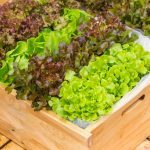 Home » How Can Farmers Deal With the CDC’s Romaine Lettuce Safety Alert? It is happening again. For the second time since April or May, the CDC issued a nationwide safety alert regarding Romaine Lettuce. Once again, the problem associated with that particular type of lettuce relates to the E-coli bacteria. This time, the warning is more alarming because disease specialists haven’t located the source of the infection. It’s more widespread than the previous outbreak, and the alert has expanded to Canada and Hawaii. With the previous alert and subsequent recall, the CDC could ultimately locate the growing region that was the source of the infection. In June of this year, NPR reported that the CDC traced the source of the E-Coli contamination to water – a contaminated canal in the Yuma, Arizona area. The New York Times called the CDC alert a “stern and sweeping advisory,” and encouraged people who purchased Romaine lettuce to wash and sanitize refrigerator drawers where the leafy green was stored. Many grocery stores, and vegetable and fruit markets acted quickly to remove Romaine lettuce from the shelves. 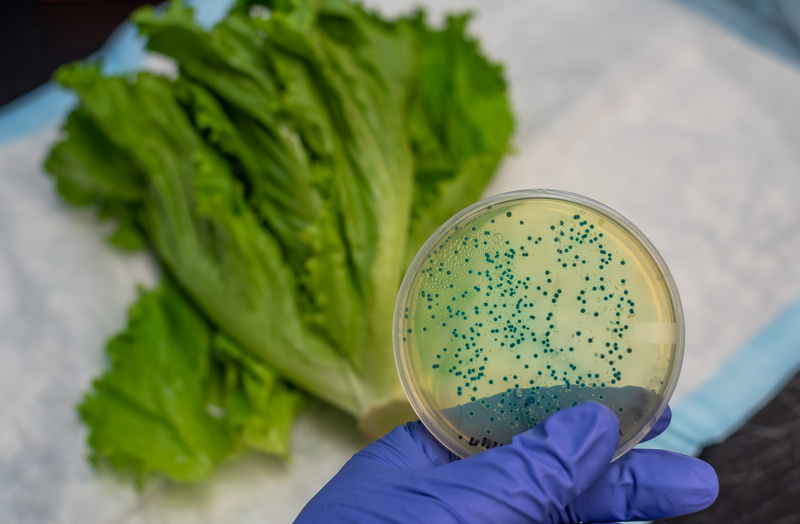 The latest alert follows the release of the FDA’s published findings from the investigation into the E-coli 0157:H7 infection outbreak earlier in the year that affected multiple states. The Center for Science in the Public Interest explains that the FDA concluded that the most likely source of the contamination was an irrigation canal that provided water to several farms in the Yuma, Arizona area that grow Romaine lettuce. The canal was located close to a “Concentrated Animal Feeding Operation,” a large facility that feeds a herd of over 100,000 cows. During the investigation, researchers observed that their most significant hurdle was a lack of detailed recordkeeping. On November 26, 2018, the FDA Commissioner, Scott Gottlieb, MD, issued a press release regarding the investigation into the most recent outbreak of E. Coli 0257:H7. He explained that as of his announcement, the current outbreak caused 43 people throughout 12 states to get sick. The last date of a reported onset of the illness was October 31, 2018. Also, 22 people in Canada got ill. He said that the FDA, CDC and other government researchers are working with the Canadian government to learn more about the cause of this outbreak and how to prevent lettuce from becoming tainted in the future. In the press release, he said that over Thanksgiving, investigators could determine that the lettuce that caused the 43 most recent illnesses related to E. Coli 0257:H7 came from a region in Central California that grows lettuce during the summer. He and his fellow investigators believe that this outbreak is confined to an end-of-the-season harvest of Romaine lettuce from that area of California. With the previous outbreak, it took government investigators over 18 days to find the growing region and the source of the contamination. 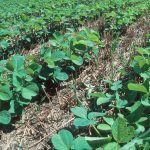 It’s essential that vegetable farmers realize that a similar scenario could occur with any other farm vegetable crop. The fact that it took almost three weeks to trace the source of the Spring outbreak is proof that the current recordkeeping system that is in use for reporting market farming activities is woefully inadequate. Back in September 2018, Jon Fingas wrote a story for Engadget about Walmart’s plan to use blockchain technology to not only ease the minds of anxious shoppers: the retail giant wants their leafy greens distributors to use the technology so that the store can track incoming produce shipments from their different providers. The blockchain will provide a secure ledger that will allow Walmart (and conceivably other retailers as well) to track vegetables (and potentially other fresh foods) from the farm or processor to the store. And this technology would make the information available to any store in the nation. By implementing blockchain technology for this purpose, it would be possible for anyone who uses it to track the source of an outbreak in seconds as opposed to days or longer, which is what happened during the Spring of 2018 with the Yuma, Arizona incident. The nature of this safety alert, and the fear that accompanies not knowing where the source of this contamination is, frighten consumers. When stores that sell Romaine lettuce voluntarily remove it from their shelves so quickly, there is an even greater cause for concern – especially for farmers. It wouldn’t be practical or cost effective for a small vegetable farm to use a blockchain system, but it makes sense for every market farming enterprise to use their farm management app to the fullest, and to tweak it to include critical information about when and where every vegetable crop is planted, and when each crop is harvested. Farmers, especially lettuce farmers will then be able to share this information with farmer’s market customers or people who participate in CSA programs that many farms have to keep sales up throughout the year. Susan Klatz Beal is a full-time freelance writer and member of the Association for Garden Communicators. She is also a passionate organic flower and vegetable gardener. She is obsessed with hummingbirds and creating wildlife habitats to attract them to her garden. When she isn’t writing or tending to outdoor plants, she spends time starting seeds for every type of plant you can and cannot imagine.